eXbino has built an excellent reputation among online traders throughout years with its flawless payouts history and superior customer care. It is praised by investors and respected by competitors. Binary options broker eXbino is a safe bet both for new and experienced traders. If you’re looking for a fair broker with a smooth and stable platform, friendly yet professional support, substantial profits, great online reputation and financial liability – eXbino is the way to go. Either new to the business or experienced in online trading – this platform has it all for everyone. eXbino is a binary options brand which was launched in 2011 by Exclusive LTD, a pioneer in the financial industry in Poland. eXbino has a licence from Curacao which allows the company to provide their services all over the world. After a success on the local market in Poland eXbino started to grow and now they work with traders from Czech Republic, Italy, United Kingdom and Russia. Great business model which cares a lot about the customer service allowed the company to grow quickly from a small broker into one of the most reputable brokers in Europe. The platform is run on extremely stable and reliable software, ensuring the highest quality among binary option brands. eXbino provides a vast variety of easy-to-use investing tools, including a top-notch Professional Chart, that allows users to analyse the market, along with different chart types and multiple indicators (MA, RSI, MACD and many, many others). The quotes are delivered by the Thomson Reuters. 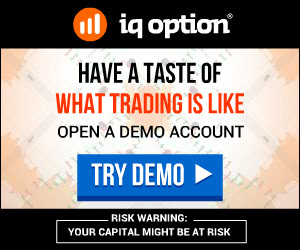 Profits may reach 85% on standard options and an amazing 500% on Touch options. The platform features great variety of assets (stocks, indices, currencies, commodities) with a wide range of trading tools like regular binaries, short terms (even 30 seconds), Touch, Ladder, Pairs and Forex/CFD. Very recently eXbino broker have integrated social trading into their platform, which allows all traders to follow other traders LIVE. Basically you can select the period for which you want to copy all of the trader deals, where you can limit stake and investment size. Success rates vary between 51 and 76 percent, which is pretty good! Opening an account with eXbino is extremely simple – all you need to do is fill in standard personal detail fields, choose a currency for your account and you are ready to go! Next thing to do now is making a deposit with various payment methods: Wire, Skrill, Neteller, credit cards (Visa, MasterCard and more), online instant transfers and Bitcoin wallets. The minimum deposit is 150 Euro/200 USD/ 600 PLN/125 GBP. Cash Bonus (50-100%) – the required volume to be reached in order to obtain your bonus may be up to 30 times the amount of the BONUS credited to your account. Exbino’s bonus offers are very wide and generous, from welcome bonuses, through deposit bonuses, to trading bonuses up to 125%. You can even be awarded a trading device (iPhone, iPad, Macbook etc) when depositing only 2500 Euro. eXbino’s support team is one of the most user-friendly in the industry. They speak multiple languages (English, Polish, Russian, German, French), their reaction time is always quick, their attitude is always customer-oriented. You can reach them by mail, online chat, skype and phone (customers from the UK: +44 203 8070606). Their Account Managers are both professional and friendly, with a wide expertise in the binary options. Their education they provide depends on the customer. Trainings, webinars, private trading lessons, investing strategies, binary tips and signals, introducing brokerage… The list goes on to cater every investor’s needs. eXbino is a brand launched in 2011 by Exclusive Ltd, a binary options tycoon. It has built an excellent reputation among online traders throughout those years, with its flawless payouts history and superior customer care. It is praised by investors and respected by competitors, eXbino is a safe bet both for new and experienced traders. If you’re looking for a fair broker with a smooth and stable platform, friendly yet professional support, substantial profits, great online reputation and financial liability – eXbino is the way to go. Either new to the business or experienced in online trading – this platform has it all for everyone. You won’t regret your trading experience with eXbino!